Credit card debt today is the highest that it has ever been. These outstanding revolving credit lines were roughly $1.021 trillion as of June 2017. This level is similar to the debt levels in 2008, which were approximately $1.02 trillion. Although many Americans simply just deal with their regular credit card debt, one financial or medical emergency could mean the difference between making your payments regularly or falling hopelessly behind. The average American household has about $5,700 in credit card debt. For those who carry balances from month-to-month, the average spikes to $16,048. Approximately 38% of households carry some credit card debt. Today, more consumers have access to credit cards than ever before. These are backed by major banks that are trustworthy. In the first part of 2017, more than 171 million people had access to credit cards. As a comparison, only 162.5 million people had access to credit cards in 2005. This is perhaps one of the many reasons that revolving credit has been on the rise for the past several years at a rate of nearly 5%. Credit card debt is one of the types of debt that can usually be discharged in bankruptcy. 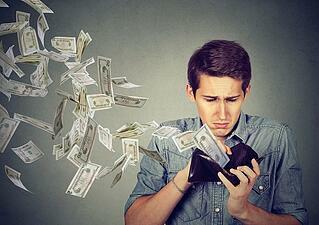 If your credit card debt is becoming too much to handle, bankruptcy may be a good option. Consumers today have more auto loans than before the Great Recession. In 2016, the Federal Reserve surveyed consumers to see how many had purchased vehicles recently. Nearly 25% of those surveyed indicated that they had bought a new or used car or truck in the last year. Almost two-thirds of those individuals took out a loan to make that purchase. Auto debt has been on the rise since 2011. It is now roughly $1.19 trillion. This is an increase of 9% from last year and 13% from the pre-Recession high in 2005. While purchasing cars on credit has increased significantly, the average wage has only increased slightly. Subprime lending related to vehicles has also increased. Falling behind on auto loans is also very common today. In fact, over 6 million Americans are more than 90 days late on their current car loan repayments. Lenders today are not as concerned about lending to less-than-ideal borrowers because they have developed new ways to repossess vehicles should the loans fall through. This is partly because when a bank or other financial institution loans you money for the purchase of a vehicle, they also put a lien on your car so that they have the right to take the car if you fall too behind on your payments. Today, there are 44 million borrowers in the United States that have a combined debt of over $1.3 trillion in student loans. The class of 2016 graduated with an average of $37,172 in student loan debt. The delinquent or late balances of loan debt is roughly $63.6 billion. Those actually in default total $67.5 billion. The Federal Reserve reports that student loans are $671 billion higher in 2017 compared to last year. Interest rates for student loans vary widely, but federal loans as generally between 3.4% and 7.9%. 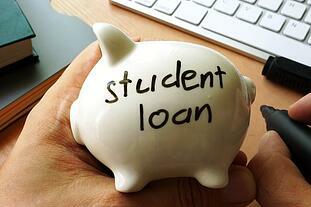 While student loans can be discharged in bankruptcy, it is notoriously difficult to do so. You have to be in very dire financial straights to qualify for a student loan discharge. For the vast majority of borrowers, it simply is not an option. Chapter 13 bankruptcy, however, can allow you to alter the repayment plan on your student loan to one that makes more financial sense for you. Mortgages make up the majority of total debt in America—roughly 67% in 2016. NerdWallet reports that of those who carry mortgage debt, the average owed is $173,995. The total mortgage debt in the U.S. is just under $10 trillion. Homeownership rates are actually at the lowest they have been in years. Today, roughly 63% of all Americans own a home. Interestingly, equity levels in the home are the highest that they have ever been, which means that homeowners today have more invested in their houses. Since the Great Recession, both consumers and lenders seem more hesitant to create a relationship that results in home ownership. Debt to equity ratios necessary to get a mortgage today are much lower than they were just before the Recession. While you generally cannot discharge your debts related to your home, you may be able to work out a new payment arrangement with your lender through the bankruptcy process. High medical expenses have been the most common reason that people file for bankruptcy for several years. It is no secret that medical services are expensive. In fact, roughly 1 in 10 adults will delay or decline to receive medical care because of costs. Approximately 29% of Americans report problems keeping up with medical bills. Of those who have problems paying medical bills, over 70% will cut expense related to food, clothing, or basic household items to pay their bills. Nearly half of all Americans would struggle to pay an unexpected medical bill of $500. Of those, most said they would have to put the bill on a credit card and pay it off over time. While this type of reaction often simply compounds debt problems, it is the only option that many people have to pay this kind of bill. If your debts are spiraling out of control, get help from a professional. Our team can assist you by working out new payment arrangements with your creditors or getting the bankruptcy process started. Learn more by contacting us today.